Hello everyone, here is my very overdue newsletter looking at my work from Autumn last year, starting with a Woman’s Own shoot with Tina Malone. Tina was great to work with, keeping us on our toes and having us in stitches. 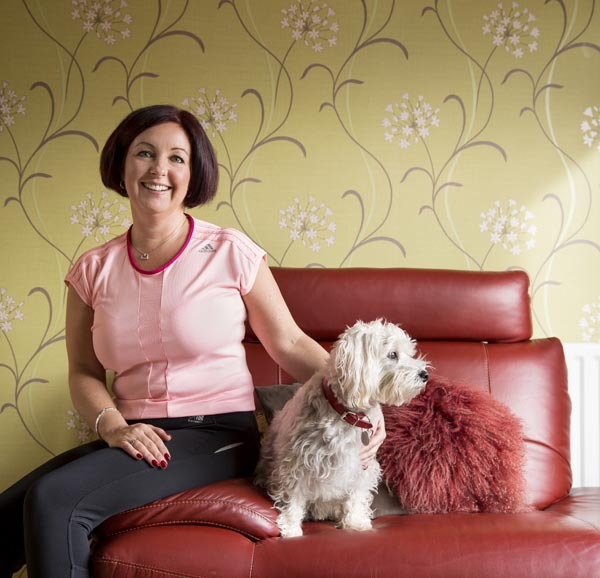 We had a great team –Tally Bookbinder and her assistant doing the make up and styling, the picture editor and writer came up from London and we hired a gorgeous location house in Liverpool. Tina brought her beautiful daughter Flame with her who was a bundle of joy and kept us entertained all day. A job for Femail now, which was part of a case study on the link between migraines and hormones. 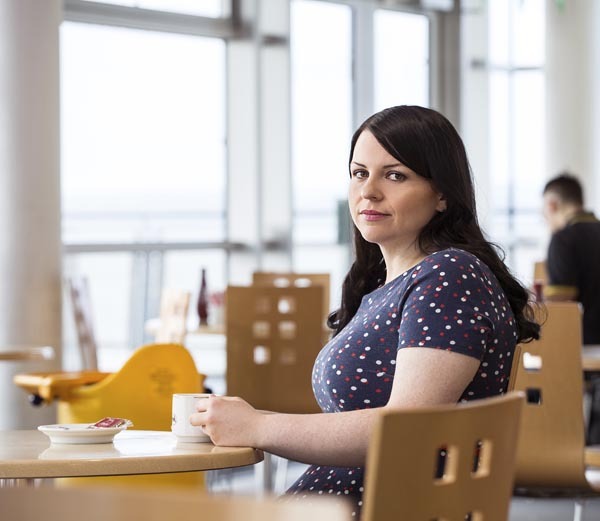 Claire suffered for three years, to the extent that she could no longer work full time until she discovered what was causing them. Click here to read. I regularly photograph TV and radio presenters for the BBC and I always enjoy meeting new people and trying to get their personalities to come across for their publicity pictures. Most radio presenters can be a little shy in front of the camera – not these two!! Larry and Paul at BBC Radio Leeds were so much fun to photograph, they really went for it and loved trying out lots of ideas. If you ever get chance to listen they are on at 12 noon every Saturday. 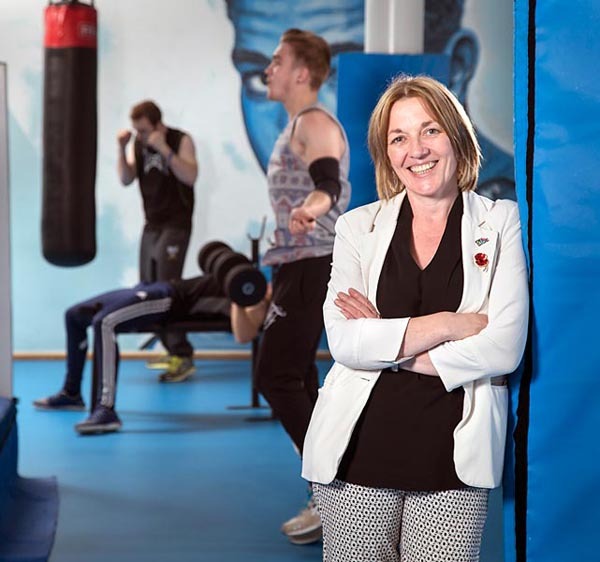 John Brown Media asked me to take an illustrative portrait of Kathryn Morley who is the chief executive of ‘The Factory’, a youth centre in Harpurhey, for RBS Business Agenda magazine. Apparently the area around The Factory ranks 2nd worst in England for the effect of long term deprivation on children, which is really frightening. I was so impressed with the staff, the facilities and the building, it’s a really amazing place with so much to do and a lot of support on hand for those who need it. Hopefully it will continue to make a big difference. Here is a link to the story. 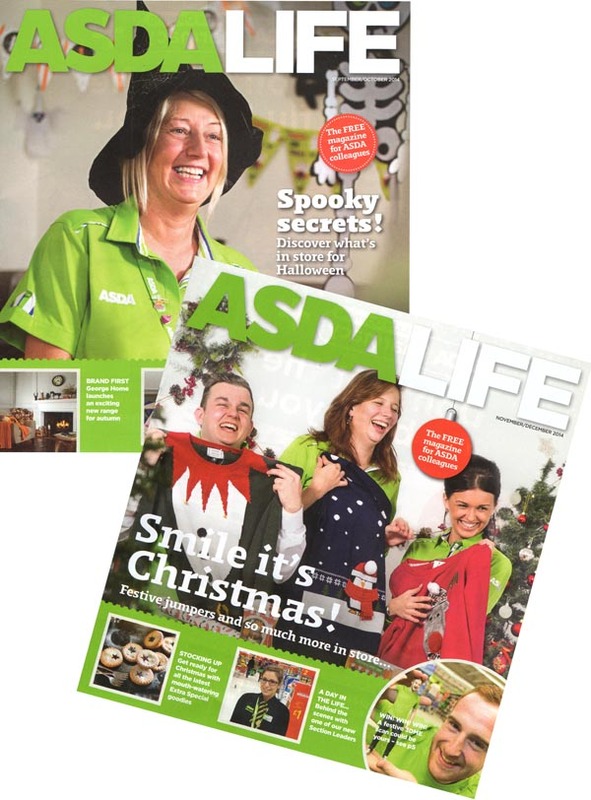 These shoots for Asda Life are always fun with a mad blu-tacked, sticky taped, 60 minute make over style dash to put up all the props. And then take them all down again! The staff are always brilliant to work with and full of enthusiasm. 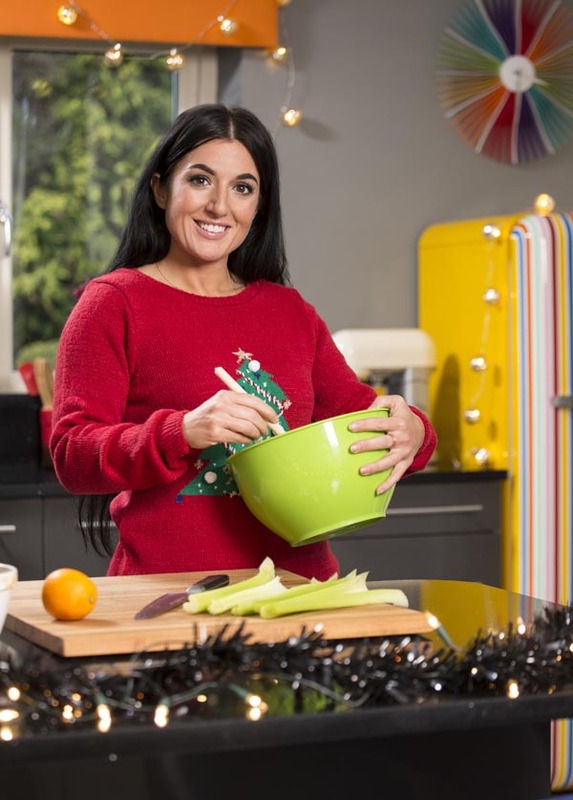 I arrived in Sunderland to photograph Stacie Stewart, celebrity chef, for Fabulous magazine. Stacie was lovely and got stuck in, putting the Christmas decorations up. Stacie has done lots of TV work so was very easy to photograph and also has wonderful style. Stacie offered me some of her Beef Jerky â€“ no thanks Stacie â€“ Iâ€™m a veggie and even if I wasnâ€™t I think Iâ€™d pretend to beâ€¦ and I had been hoping for cake. 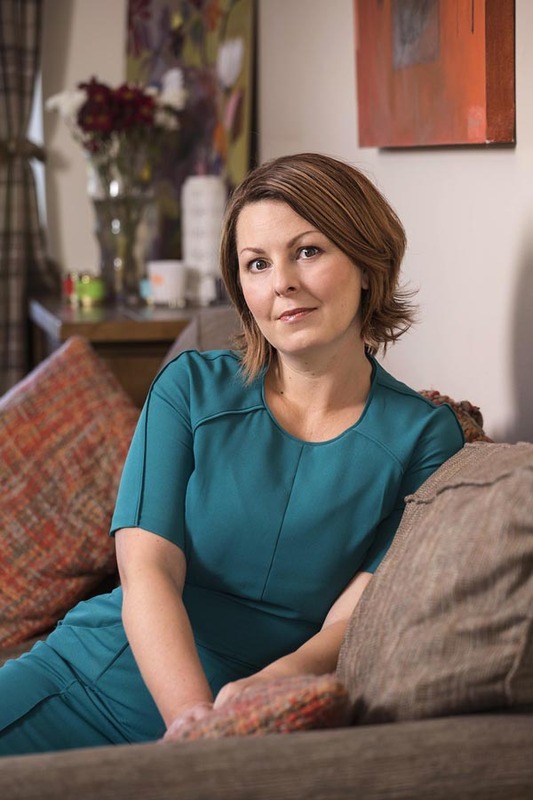 A story for Fabulous magazine about a woman’s struggle to come to terms with her infertility. This one was a long way from home in South Wales and it was a really cold, windy day. We didn’t have many options available to us but luckily we managed to find a friendly little cafe on the beach to shelter in just before closing time. A case study portrait for Pru Health magazine ‘Vitality’ about the introduction of a health plan in the workplace and the resulting fitness benefits and lifestyle changes. That dog is nearly as fluffy as the cushion! That’s all my news for now, but I’m looking forward to telling you about my shoot for FHM in my next newsletter.